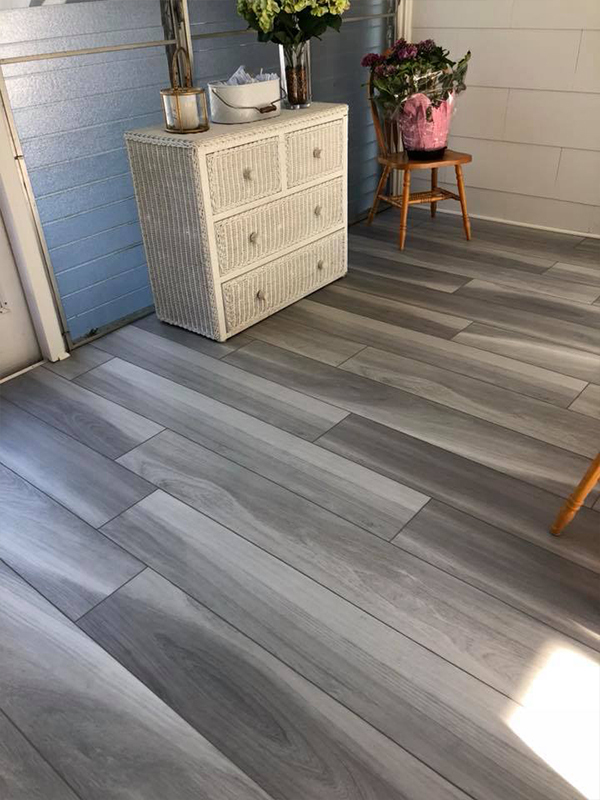 Luxury vinyl plank flooring (LVP) is the modern choice for a floor that offers the richness and texture of more expensive natural materials without maxing out your budget. Today’s luxury vinyl is engineered to be the most innovative, versatile, and high-performing flooring available. When was the last time you updated the flooring in your home or office? Flooring is one of the largest monetary investments as well as the biggest element that will be seen throughout your space. Luxury vinyl flooring can provide the aesthetic appearance that you desire while being easy to maintain. 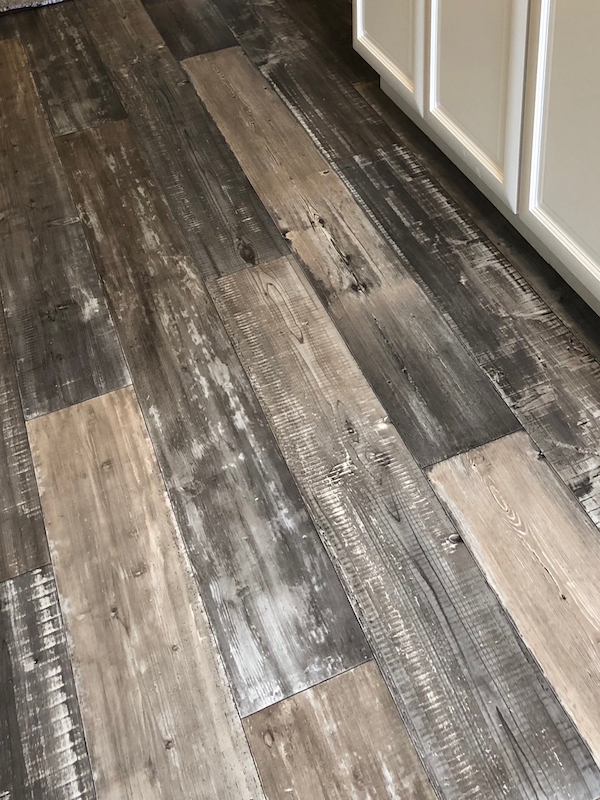 In the residential home environment, luxury vinyl flooring is particularly prevalent in kitchens, bathrooms and basement areas due to its water and stain resistant properties. Luxury Vinyl Plank flooring is so versatile it can be used in living rooms, dining rooms, and bedrooms too. It’s an ideal choice for all areas in your home and budget-friendly flooring as well. In a commercial setting where high traffic is constant, luxury vinyl plank flooring can be ideal to reduce noise and maintain a professional, clean work environment. 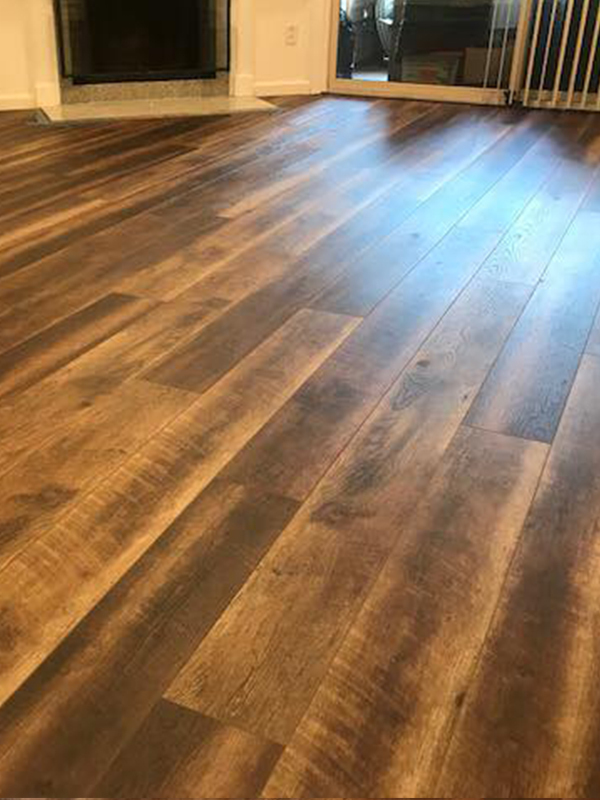 Luxury vinyl flooring provides a realistic appearance and beautiful textures, giving you a durable and low maintenance substitute for authentic hardwood flooring. Luxury vinyl plank flooring manufacturers such as Mohawk and Shaw Flooring offer a mix of natural hardwood and stone floors with proven performance. Today’s technology advancements are also seen in the flooring industry. Luxury vinyl plank flooring is available in different wood colors, textures and finishes. Luxury vinyl flooring is soft under your feet, and it remains a comfortable temperature in all seasons. 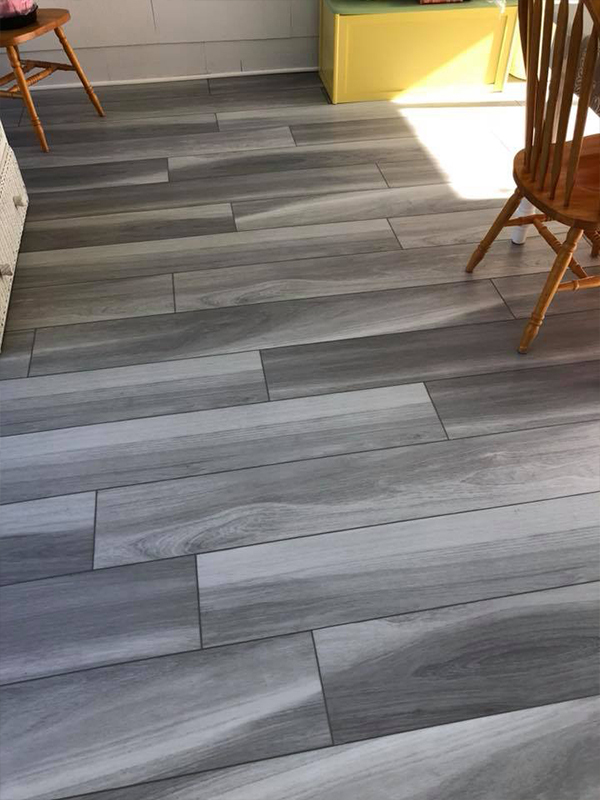 Due to its subtle and flexible surface, luxury vinyl planks also help to reduce noise, which can be helpful in a home with pets and children or in a work pace full of people. 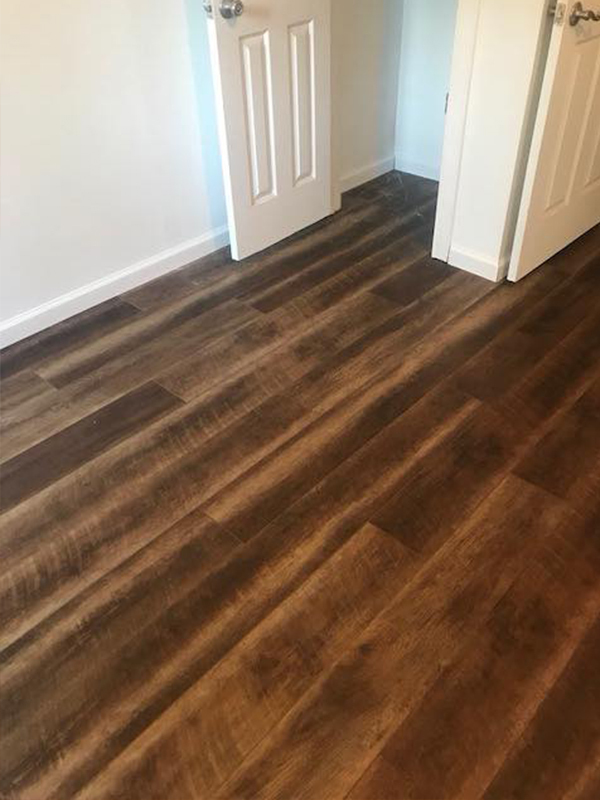 Luxury vinyl plank flooring is a cost-effective way to maintain a clean work or home environment because of it’s waterproof and dent resistant qualities. A waterproof floor which is also stain resistant will allow you to clean it quickly and not worry about the stains that water can leave on its wooden floor counterparts. 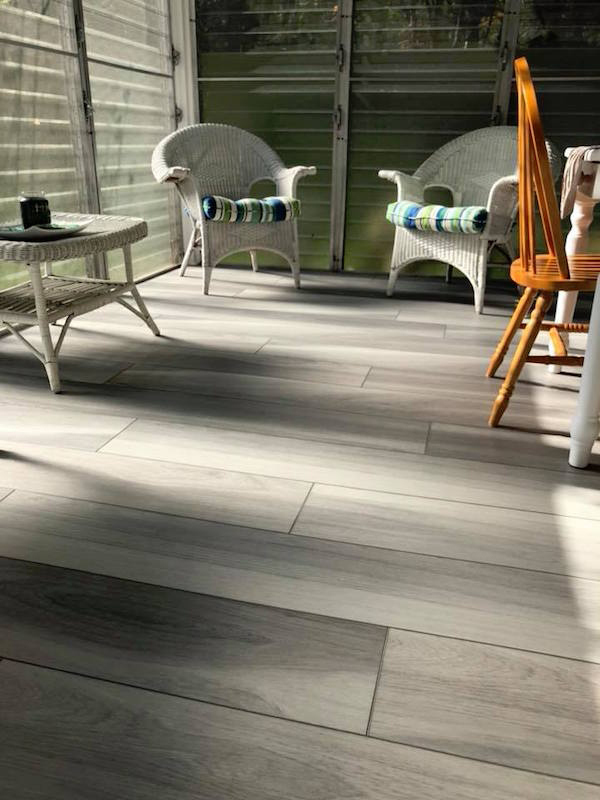 Most vinyl flooring resists heat and sunlight, maintaining its shape and stability even at temperature extremes, which means that you can rely on it looking great for many years. Durability in the workplace environment, whether you have a high traffic work zone or using equipment that can cause dents and scratches, is just as important as keeping a professional appearance. Luxury Vinyl Plank is perfect for a home with pets and children. It has a protective top layer that resists marks and stains making luxury vinyl floors easy to maintain, for a beautiful worry-free home floor. 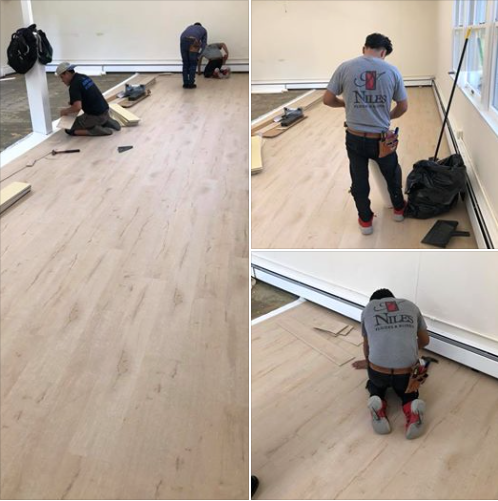 Call Niles Floors & Blinds at 914-737-6780 or contact us today to schedule a free flooring consultation at a time convenient to you. Luxury vinyl plank flooring comes pre-fabricated in different plank sizes, colors and surface textures. Most installations are glue free and hassle free, so not only is it cost effective it is also time efficient.